This past weekend was third edition of Manions Cross. This race keeps getting better and better. the course was tough, but really fun. The winding turns through weeds at the bottom of the course reminded me of harvest time in sleepy hollow, with it's own monster ta boot. The climbs were do able, the fast sections were fast, and overall I think it flowed really well. Outside of the race itself the party was fun, great vibes, food from Cowtown's own PotPie, beer from Tall Grass Brewing, and all the wide open views of beautiful Wyandotte County you could handle. Cow Town headed over to Leavenworth to contest the Buffalo Bill Cyclocross race. Damian Almanza, Chris Locke and Dave Wathen represented Cow Town in the Master’s 35+ category. Brendan Sheehan (Santa Fe Trails Bike Shop) and Roger Harrison (Lanterne Rouge) promoted the event as part of the Buffalo Bill Sports Event Weekend. The course was on a bluff above the Missouri River and involved a lot of climbing with very little recovery. A fit racer would do well here, as it wasn’t very technical but required a lot of power to get up the hills on the out and back course. From the gun, the selection was made. The fast guys were at the front on the uphill start and the rest of us settled in to see what would happen. Damian went to the front and opened up a pretty nice 40+ second gap on the second place rider, so Chris and Dave assumed the vigilant domestique roles and held the field in check as the hilly course did not suit their current fitness levels. 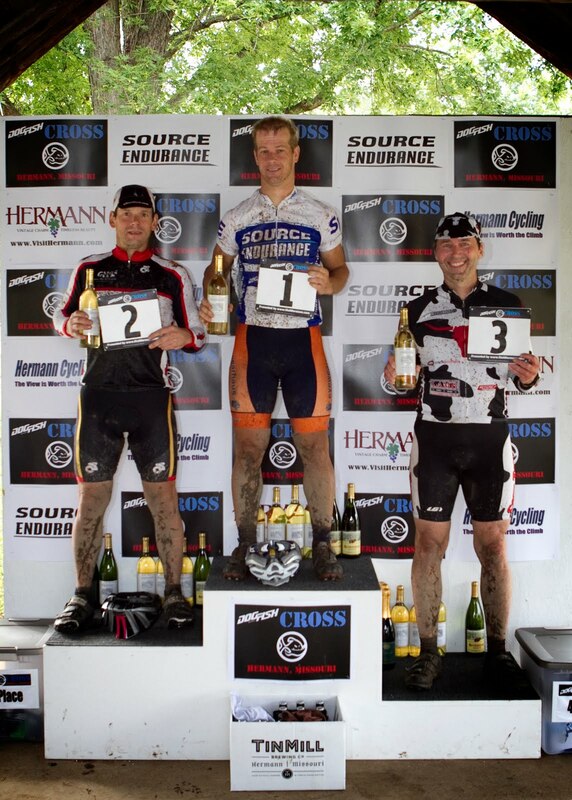 Damian handily won the race solo and secured Cow Town’s first victory of the 2011 cyclocross season. Congratulations to Damian on his victory and thanks to Brendan and Roger for putting on a fine event. Another edition of the Dog Fish Cross, aka "Hermann Cross" was held this past weekend. Jeff Yielding orchestrated another great event in the heart of Missouri wine country. The city really gets behind this event and together with Jeff and his team make the Dog Fish Cross one of, if not the best cross race in the region. First class all the way from the fine wines that were donated for awards to the professional announcing by John Lefler. Dave Wathen and Chris Locke ventured over to hang out with the "down-home" folks of Hermann and start their cyclocross season in style. Dave Wathen got off to a strong start on day 1 but yet another rolled tire cost him. 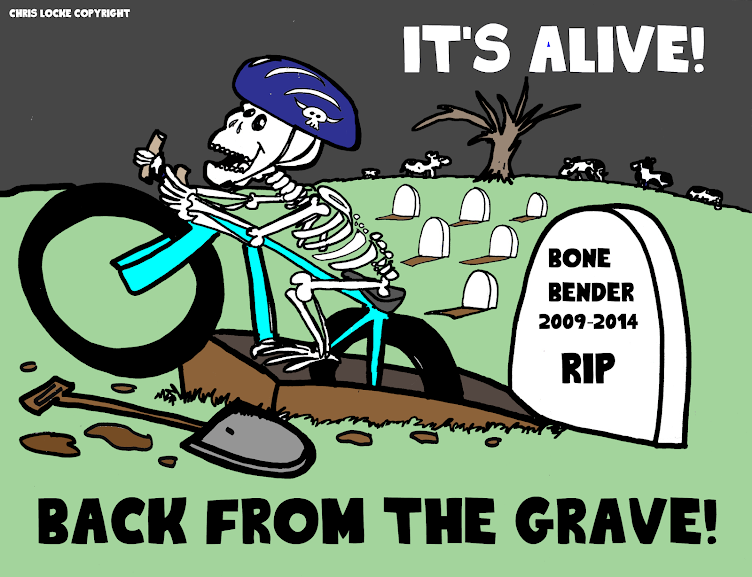 He came back to finish 3rd overall on the weekend after riding "team backed" tires. The "hell with tubulars" could be heard through out the wine country...."Mr. Guru" was able to step up on the podium on both days and was very thankful that he was able to bring home the wifey a couple of bottles of wine. "Sunday was the best day for sure for me. 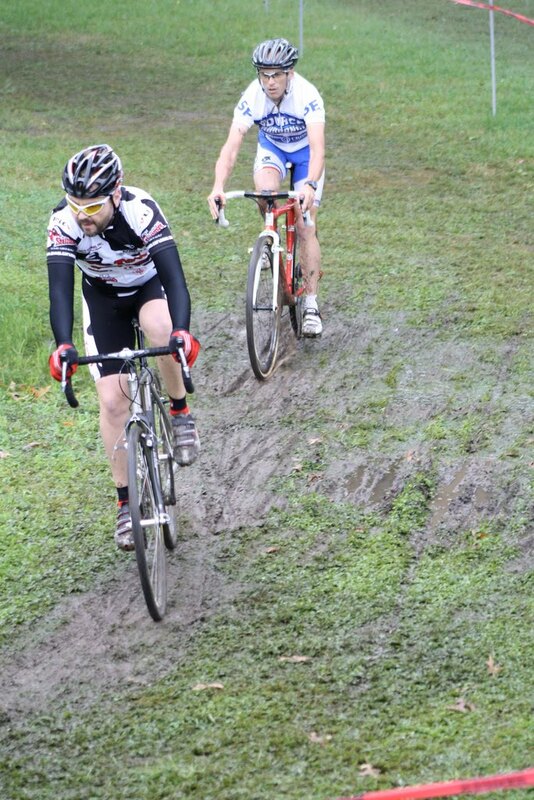 The muddy course suited my lack of form and I was able to keep pace a little better. I still have a ways to go, but this a start". Bike Walk KC is hosting the Traffic Skills 101 class. This bicycle skills class gives cyclists the confidence to ride safely and legally in traffic or on the trail. Traffic Skills 101 course covers bicycle safety checks, fixing a flat, on-bike skills and crash avoidance techniques and includes a student text book. Recommended for adults and children fifteen and older, this fast-paced, nine-hour course prepares cyclists for a full understanding of vehicular cycling.